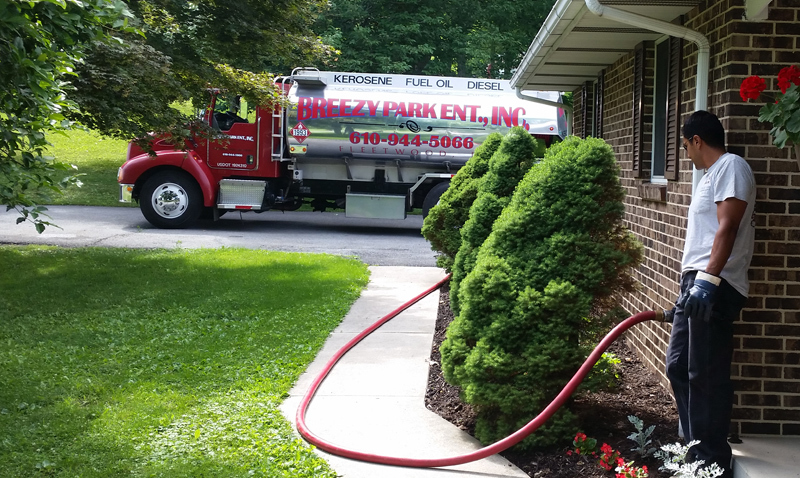 Breezy Park Enterprise is Berks County, PA’s first and best choice in home heating oil. Not only do we offer high-quality heating oil at discounted rates, but we do our best to be the lowest price in Fleetwood. To this end, when you are comparing competitors’ rates and you see one lower than ours, contact us and we will do our best to meet or beat their price. But our services don’t simply stop there! We want to be sure that we are there for our customers exactly the way the need us to be. Our friends and neighbors have come to expect a lot out of our services, and we don’t disappoint. Therefore, we offer different delivery options as well as pricing plans. Not only that, but we offer same-day delivery, depending on weather and conditions. If you run out of oil, we will do our best to prime and start your system. This service will be done at the time of delivery for a $35 fee. This option is for people that like to take full control of their heat and home comfort. You monitor your fuel prices and call us when you need a delivery. We do require, however, a 150-gallon minimum for delivery in order to get our daily discounted cash-on-delivery price. Do you need less than 150 gallons? We will do our best to accommodate. We offer deliveries under 150 gallons, but please note that additional charges may apply. Would you like a FREE estimate on your oil delivery service? Contact us today! There is nothing more disheartening than realizing you haven’t checked your heating oil levels for a few weeks and that your oil may be extremely low, or even empty. With Breezy Park, you can pass off all your stress and worry concerning when to fill your oil on to us. With automatic delivery, we monitor your previous year’s fuel use, coupled with weather conditions and home and living preferences, to determine when you will need another fuel delivery. When we determine that your home is low, we bring oil straight to your door. You need to do nothing; simply enjoy the comfort and coziness of your home. This is the ultimate means to create a stress-free, worry-free winter. When you sign up for a budget plan, we determine the amount of oil that you are projected to use during a year. With that total, we divide by 12 months. This is your monthly payment. Now you no longer have three or four months of extreme heating and energy costs: it’s evenly divided throughout the year. AND you benefit from automatic delivery! So, not only do you not have to stress about your heat this winter, you are now worry-free for delivery calls. This is our best, most convenient option, and our customers love it! C.O.D. is our standard and traditional payment method. You get this daily, discounted rate when you pay at the time of delivery or are an approved credit or charge customer. Paying within ten days of the invoice date may qualify you for a discounted rate as well. So, sign up today with Breezy Park. Contact our office to become a customer and benefit from easy, reliable heating oil this winter. Remember: fill before the chill! No one should be left in the cold this winter or any other. If you need help with heating costs, please look at our references for additional help.